Our wish is for you to safely experience a moment of pleasure along the river. In order to share my passion for outdoor sports, I created Compagnie Sports Nature in 1985. Surrounded by a team of professionals, we know the exceptional Dordogne valley better than anyone and we have been practicing our passion for more than 30 years. 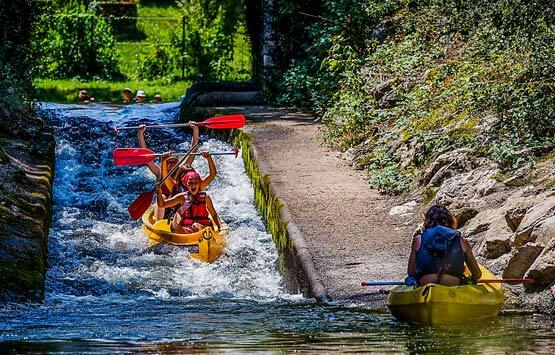 With your family or with your friends, enjoy the beauty of the landscapes of the Dordogne valley, the only French river to have been classified World Biosphere Reserve by the UNESCO. Experience a moment of emotion, an encounter with the beauty of nature. 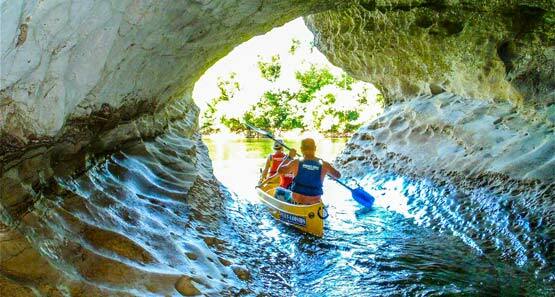 Let yourself be taken along the stream and discover the hidden treasures of the Dordogne river. To suit everyone’s pleasure. From Tauriac, Gluges or Saint-Sozy, we offer several descents: mini descent, half day or one-day descent. In order to guarantee a peaceful descent, before each departure we take the time to give you an initiation to the practice of canoeing. You will see, it’s simple ! Only one obligation, to know how to swim! You want to hike for several days ? Discover hiking, from 2 to 5 days of descent in total freedom ! Dogs allowed at no extra charge.